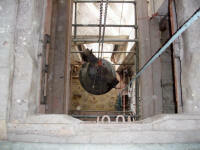 The Dennington Bells are back in the Tower and ready to ring again following the re-tuning and re-hanging onto new ball bearings by the Whitechapel Bell Foundry. 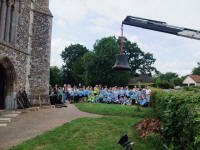 A new frame has been constructed to house the six bells on two levels with the 2nd bell hanging above the remaining five. 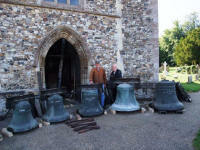 The 2nd bell is now placed over the Treble which means that bells 1, 2, 5 and 6 will swing in the East/West direction and bells 3 and 4 in the North/South direction. The re-dedication service will take place on Sunday, 31st January at 11am in the presence of the Rt Revd Nigel Stock followed by open ringing and refreshments in Dennington Village Hall. 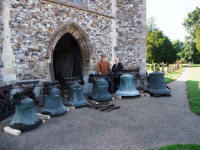 Ringing will start at 10am. Ringers are most welcome to attend the event, but are kindly asked to let Ole Jensen, Tower Captain, know by or by Tel 01728 638345.